Who has never heard of the word “utang” in the Philippines? Of course, almost everyone who has lived in the country for at least a year is familiar with it. Debt is deeply ingrained in the Filipino culture, so much so that nearly half of Pinoy adults (47.1%) have an outstanding loan and 33.8% had owed money in the past, according to the 2015 financial inclusion survey of the Bangko Sentral ng Pilipinas (BSP). Only 19.1% or two in 10 adults have never borrowed money. 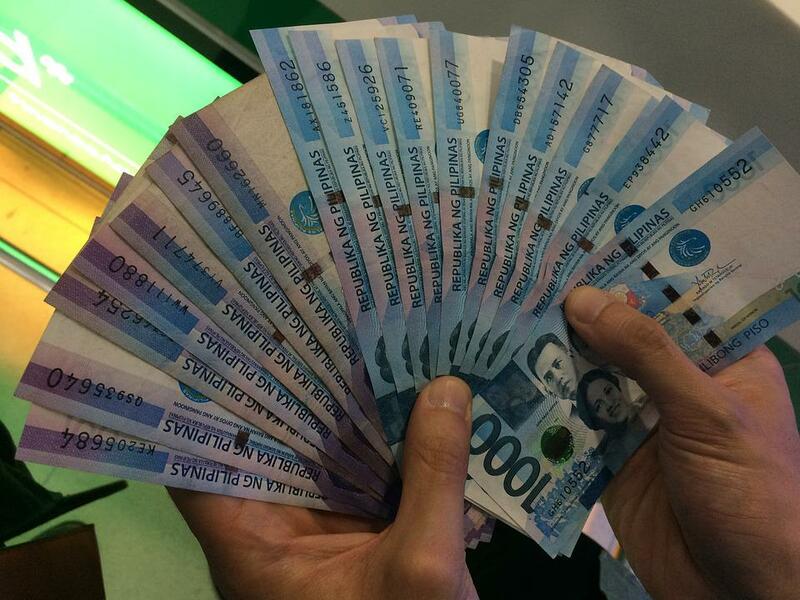 Why is lending or pautang so popular in the Philippines? Because Filipino families need quick cash. The BSP survey shows that people borrow money for food and other basic necessities, school-related expenses, and emergencies. Pinoys also have a lot of lending services to choose from to meet their short-term financial needs. 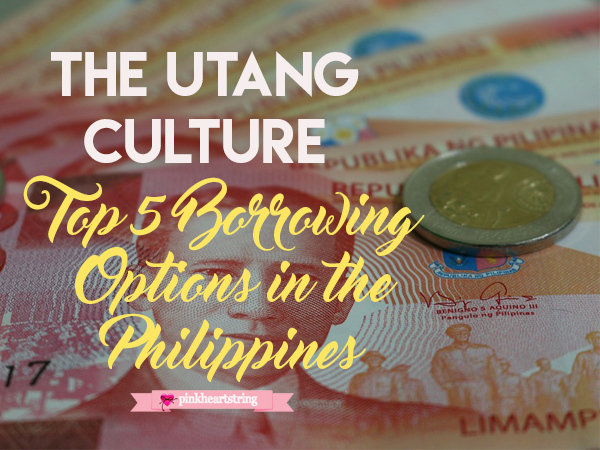 Here is an overview of the five common borrowing options in the Philippines, their benefits and drawbacks, and some tips to avoid getting buried in debt. 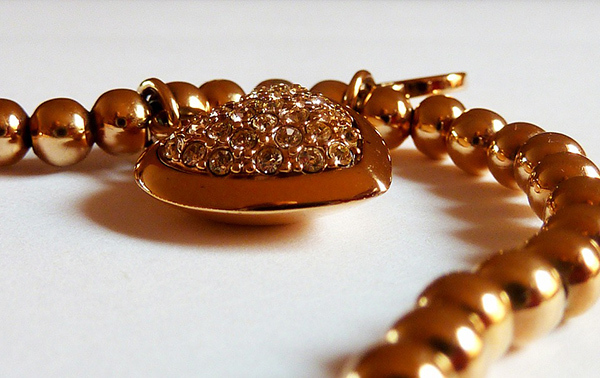 Pawning involves handing a valuable item such as jewelry to a pawnshop as collateral for a loan. When you pay off the loan and interest, you’ll get your collateral back. If you don’t, the pawnshop will keep it. ● Quick, easy access to cash – Unlike banks, pawnshops don’t conduct credit investigations and require documents from borrowers. Within a few minutes, you can easily pawn your valuable item for cash. ● Legitimate – Pawnshops in the Philippines are regulated by the BSP, which issues strict guidelines to protect Filipino consumers. Typically, you have only 30 days to pay off your loan. However, you can choose to renew your loan term. ● Do your research on pawning services and make sure the one you’ll deal with has a business permit and is supervised by or registered with the BSP. ● Evaluate your ability to pay the loan on time before you pawn an item, especially if it has sentimental value such as a family heirloom or wedding ring. More than half or 61.9% of Pinoys who are in debt borrow money from their family, relatives and friends, according to the BSP survey. It isn’t surprising at all. Having close family ties is part of Filipino culture, so it’s hard to refuse a relative’s request to borrow money. What makes it even harder is when you owe that person an utang na loob—meaning you have a moral obligation to repay that favor. This practice is also common among friends and colleagues, especially during petsa de peligro. This is the easiest, fastest way to borrow money without interest and collateral. ● Promoting too much dependence – This practice encourages people to depend on their more affluent relatives or friends for financial help instead of helping themselves get out of debt. ● Social and emotional cost – Unpaid debts often lead to conflicts, stress and strained relationships. ● If you often borrow money from your loved ones, take a long, hard look at your spending and saving habits and work on improving them. ● If family and friends often turn to you for financial help, learn to say “no.” You’re not actually helping them to become financially independent if you keep on lending money. Three million Filipinos own almost seven million credit cards, according to the Credit Card Association of the Philippines. It’s no wonder because these plastic cards are convenient for online shopping and in-person purchases. ● Useful in emergencies – Credit cards can cover unexpected expenses such as medical bills. ● Promos and deals – Many credit cards offer rewards programs, cash rebates, consumer protection features, and other perks. ● Good financial management tool – Credit card bills contain details of your every transaction, making it easy to monitor your expenses. ● Easy to rack up debts – It can be tempting to spend money that you don’t have. 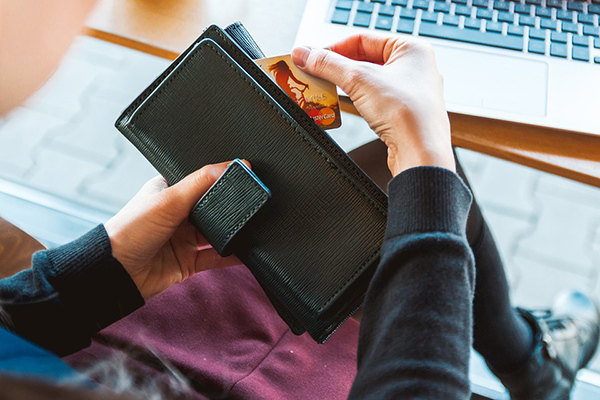 Impulsive spending and late payments can get you into credit card debt. ● Risk of fraud – If you’re not careful enough, hackers may steal your credit card information and use it for large purchases without your knowledge. ● Use your credit card only for things you can afford to pay for. ● Always pay the total outstanding balance or at least the minimum amount not later than the due date. ● Don’t go over your credit limit to avoid extra fees. 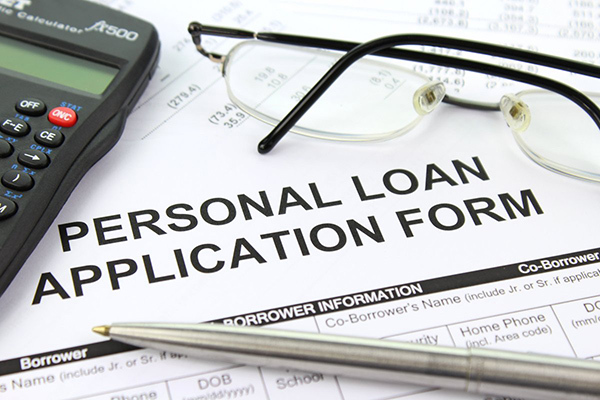 Banks typically provide three loan products: personal loans, auto loans and housing loans. Depending on the type of loan, the bank may require a collateral or not, and interest rates are either fixed or variable. ● Ability to make large purchases – With a bank loan, you can finance your child’s education or your dream house or car. Banks offer minimum amounts of Php 10,000 million for personal loans, Php 100,000 for auto loans, and Php 400,000 for home loans. ● Flexible and longer repayment terms – You can choose from 12 to 36 months to pay off your loan. Banks impose strict eligibility and numerous documentary requirements. Processing also takes several days because banks conduct credit checks to assess a borrower’s capability to pay off a loan. ● To ensure loan approval, make sure you have good credit standing and pay off your outstanding debt before you apply. ● Never miss a repayment to avoid penalties and hurting your credit score. Having been around for several decades now, “5-6” is infamous for charging a high interest rate of 20% and being peddled by Indian money lenders on motorbikes. Filipinos in dire financial needs, especially in the rural and urban poor areas, easily fall prey to this lending practice. 5-6 loans provide quick cash for the family’s urgent needs. Usually, no collateral is needed, except for ones that ask for an ATM card. ● Risk of getting ripped off – 5-6 lenders have no permit to operate and are not regulated by the government. ● Extremely high interest rate – Because 5-6 lenders collect the loan payments daily, it seems that you’re paying small amounts. But you’re actually paying much more because of the 20% interest. ● Avoid them as much as possible. 5-6 loans and other loan sharks that ask for ATM cards as collaterals are considered predatory lending practices. In fact, the government has been warning the public against them. ● Consider other lending services in the Philippines such as those from banks and other reputable financial institutions. Have you ever owed money? Getting a loan is not inherently bad. It can even be a great way to grow your funds, such as for starting or expanding a business. However, many Filipinos experience money problems when they borrow beyond their limits. The key to avoiding huge debts is to choose a loan and lender wisely and being a responsible borrower.